Leeds-based House of Koko have partnered with Wakefield’s MasterChef finalist Chris Hale to take over the running of The Hepworth Wakefield Café. Launching in October with a new menu, perfectly brewed coffee, loose leaf teas and redesigned dining space to give all their visitors a truly memorable experience. The café’s seasonal menu combines all-day brunch favourites with cutting edge cuisine, putting Wakefield firmly on the culinary map with its excellent food and drink. All dishes champion locally sourced ingredients, where possible, and are freshly made to order. A wide range of vegetarian, vegan and gluten-free options are available daily. 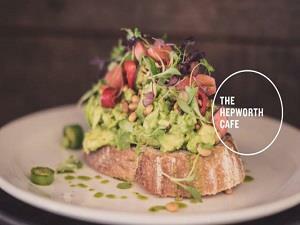 The Hepworth Café is bringing speciality coffee to Wakefield for the first time. The café will serve North Star Coffee‘s Czar Street seasonal espresso and we’ll be working with the North Star team to gain their expert knowledge of all things coffee. A brew bar will offer single origin coffees from around the globe, as well as a batch brew machine for filter coffee. If you prefer tea, the café serves 20 loose leaf teas, weighed, timed and brewed to perfection for you – and there’s always a good cup of Yorkshire tea on hand. Whether you’re after brunch, lunch or a good cup of tea, The Hepworth Café is the perfect place to catch up with friends or enjoy a meal with the family.